great article. I’m thinking about installing XenServer on my MacMini. Did you manage to install Mac OS X (Client or Server) inside XenServer? XenServer at this time does not support Nested Virtualiaation. 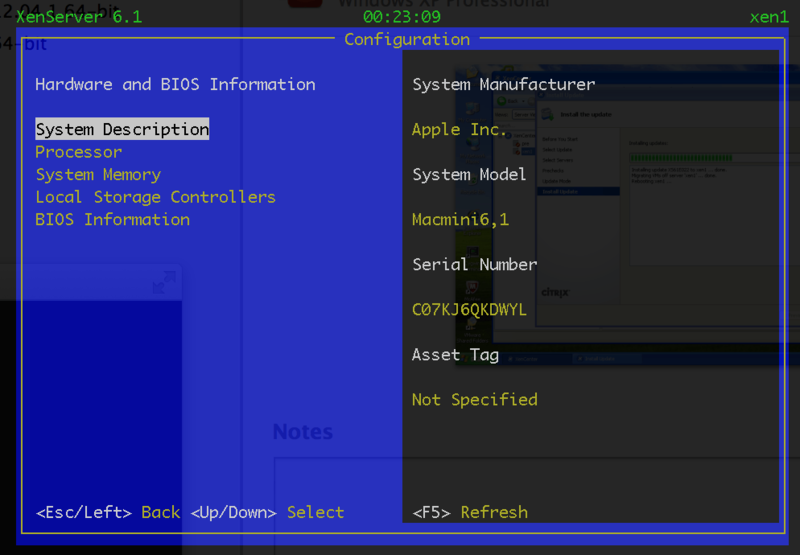 My use case requires this feature so I settled on VMware ESXi (the free version). To your question, I dont believe XenServer supports OS X as a guest OS. VMware certainly does. Are they mac mini or mac mini server ? If yes, can Xen manage the RAID controller ? What is amazing is that XenServer can manage USB Ethernet adapters. Could you please tell me which USB Ethernet adapters you use ? I am using Mac Minis and they don’t have RAID controllers. I have not tried the USB Ethernet adapters. IIRC, the Thunderbolt adapters worked when I briefly tried. Hi Shanker, great work! Dou you believe that I can do the same with a mac pro with Core Xeon E5620 x2 http://support.apple.com/kb/sp589 ? I am planning to have the xenserver with 2 windows server 2012 vm’s . What do you recommend for minimal memory ram and storage? thanks! I have not tried to use a Mac Pro with XenServer. Do try running XenServer on the Mac Pro. As for Disk and RAM, I used the default disk but have bumped up RAM to the max possible on the hardware (16GB for a Mac Mini). Great article. I am installing 6.2 on my macmini from a usb stick. I upgraded my memory the minute I took the macmini out of the box. When you say nested vm’s, what exactly do you mean? For my application, being able to run xp, w2k3, and ubuntu 14.04 distro is all I really need with bridging the nic to all of them is all I really need. Shanker, I’ve tried several ways to install XenServer 6.5 onto a Mac Pro and all have failed. did you do anything special on the mac mini besides burning the XenServer ISO to a CD and holding down the ‘C’ key during boot? I dont recall doing anything special other than the steps I already mentioned. I have not tried to install XS 6.5 though.